Feldman’s Deli: Sloppy Joe. Credit: SL Food Quick and Dirty. 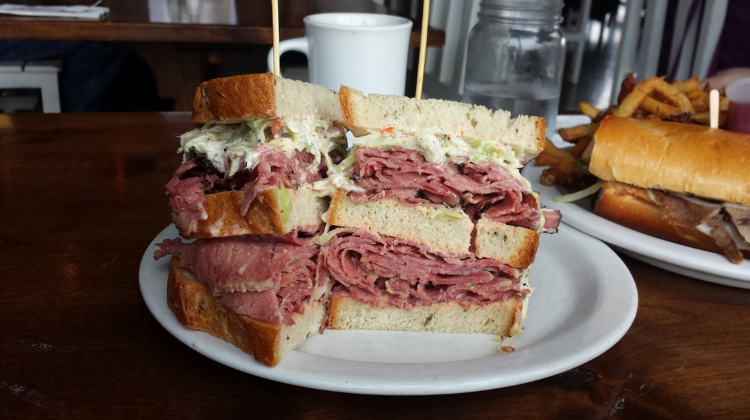 Stop what you’re doing right now and head to Feldman’s for some of the most sublime sandwiches in all of Salt Lake City. The star of the menu at this NYC-styled deli is mammoth half pound sandwiches, each one an ode to the owners roots from back East, Jersey to be precise. Indeed that’s where the luscious pastrami and corned beef are imported from, not least other items like authentic pickles and NYC cheese cake too. 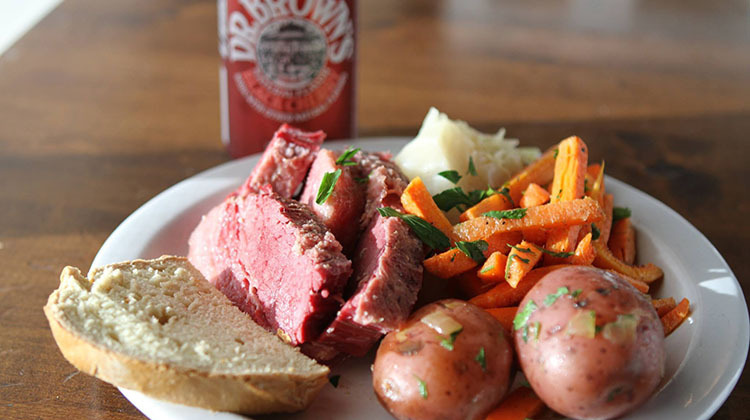 The fabulous corned beef and pastrami is hand carved daily at Feldman’s and everything that’s not carefully shipped from the East coast, is hand made in house.. From the classic corned beef with mustard through the funky sloppy Joe or soul satisfying reuben – each creation is a masterpiece. Moreover, these enormous sandwiches are enough to share, or split over two meals. 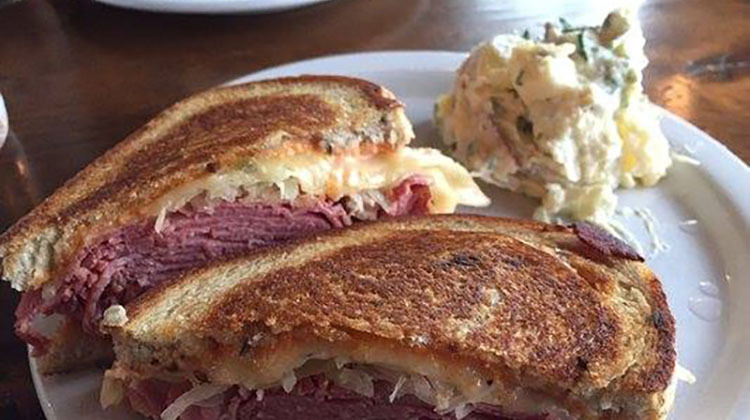 And it’s not just the best sandwiches in Salt Lake City you will find here (though honestly you’ll be hard pressed not to order one), the restaurant also seeks to offer a true taste of authentic Jewish deli’s from New York. 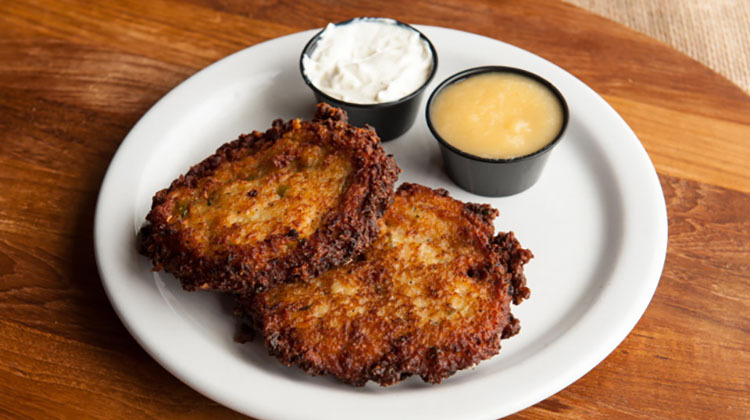 The business offers a variety of homemade entrees including pierogi, stuffed cabbage, kielbasa, brisket, bacon-wrapped meat loaf, homemade bagels, matzo ball soup and more. Stop by for dinner (Thursday through Saturday) to check out some of these rustic entrees, plus a range of specials. Also keep note of Feldman’s breakfast hours and start your day with a bagel, some lox, and perhaps a schmear? We’re proud to have Feldman’s Deli as the sponsor for this page. Award winning East coast lobster rolls draw folks from far and wide to this SLC sandwich shop. Sure, they aren’t cheap, but neither is overnighted lobster from back East either. 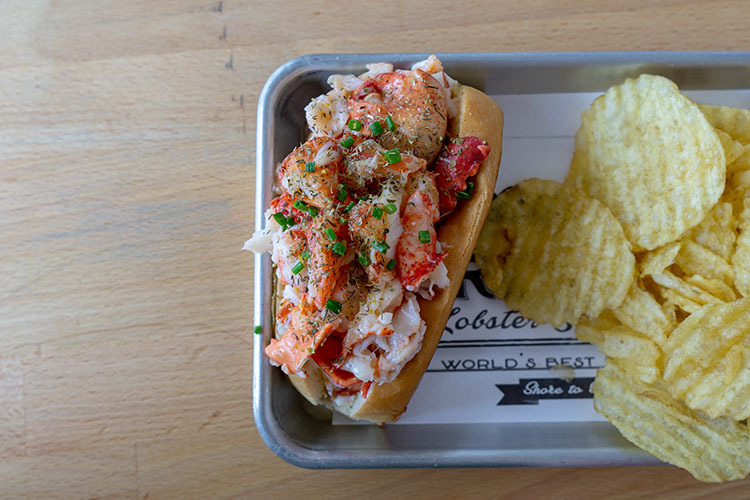 Freshies even managed to nab the title of worlds best lobster roll while going up against some of the big guns from the East coast once – need more convincing? 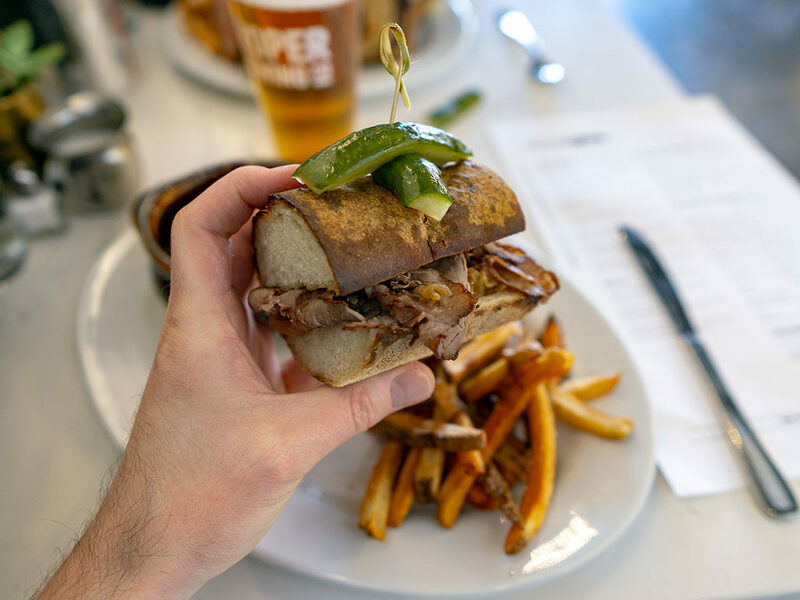 There are plenty of sandwiches up for grabs on the menu at Stratford Proper. This East side eatery is the latest opening from the guys over at Avenues Proper / Proper Brewing / Proper Burger. Replacing the former Per Noi restaurant and significantly updating and expanding the space, the restaurant serves as neighborhood hang out. Coffee and pastries in the morning through sandwiches for lunch and fuller entrees at dinner. 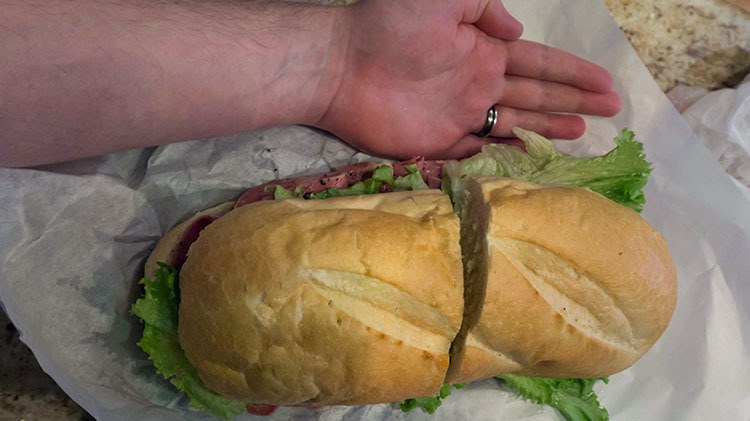 Nope, that isn’t photoshopped, that’s a real life sandwich from The Grove Market & Deli. It’s full name is the Ambassador Roll and you can choose to have it filled with all manner of deli meats, veggies and sauces. Some locals claim it’s enough to feed a whole family. The grove has been an SLC institution serving hot and cold sandwiches since 1947. 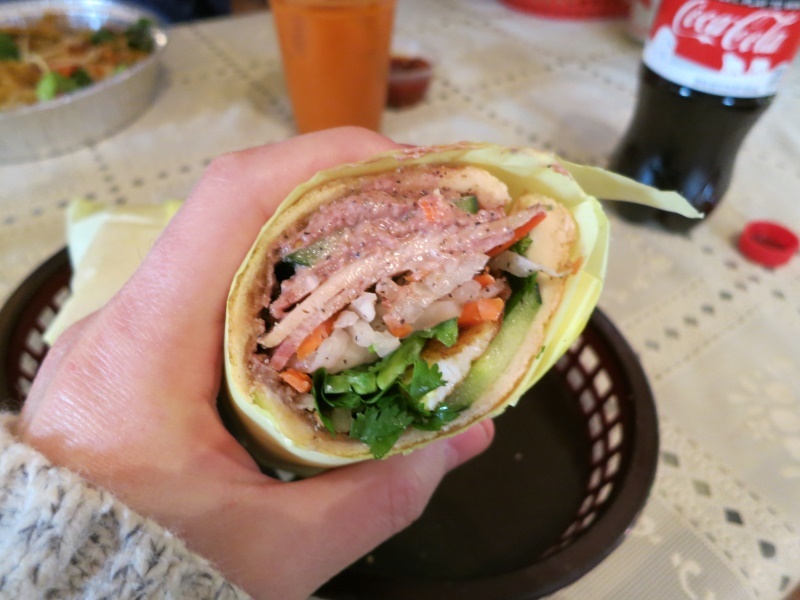 Banh mi in the heart of Sugar House. 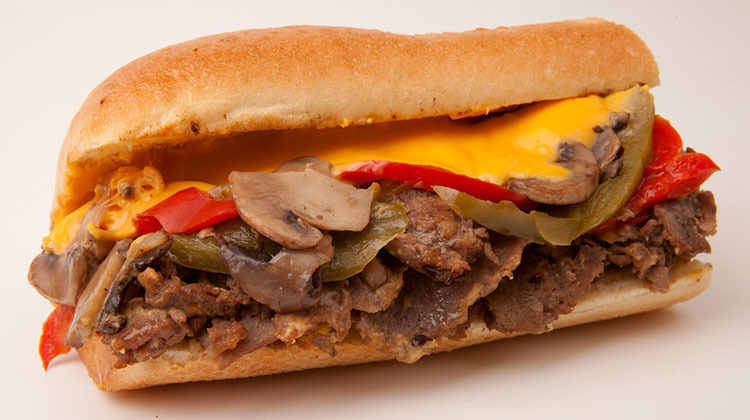 This small restaurant offers a range of the popular Vietnamese/French sandwiches, with many modern interpretations like garlic butter steak and the pictured, short rib. The *more* is important to note in Moochies moniker. While the headline item here is a very fine meatball sub – scan the menu and you’ll find a number of other stellar sandwiches. There’s a very capable Philly cheesesteak with your choice of fancy cheese or whizz, and an absolutely knock out reuben that like much of the menu, is wallet friendly. 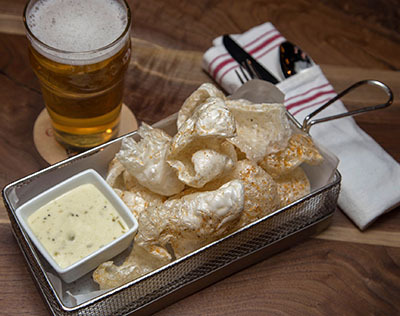 Two locations serve the full menu, which is a favorite with locals and visitors alike. 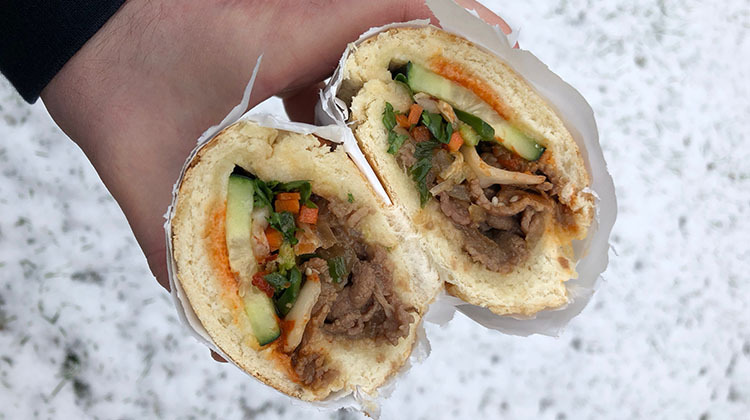 Vietnamese banh mi sandwiches are what make the locals flock to this mom and pop operation. Priced almost staggeringly low, the flavors of the ten sandwiches are equally stunning. Whether you go traditional with the Dac Biet (steamed pork roll, jambon ham, pork head cheese, garlic-butter, pork pate) or indulge in the decadent Bit Tet Xao Toi (garlic butter rib eye steak) you’ll get nearly five dollars change from a ten dollar bill for most of the sandwiches here. You can read a little more in our review of Oh Mai. The food at Even Stevens matches each of the stores clean, modern and striking locations. 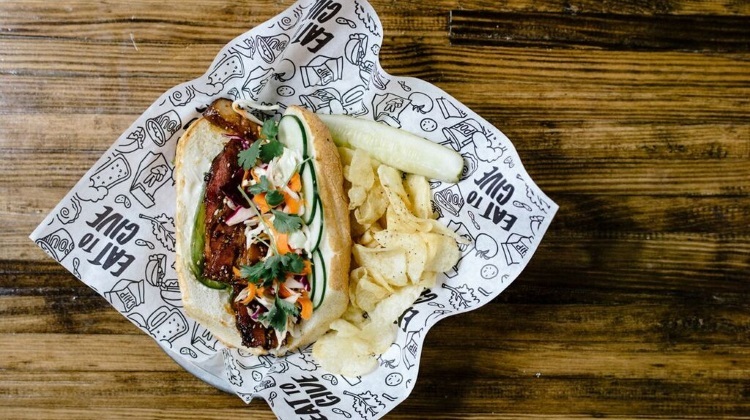 There are classics like the Sprang Chicken (pictured: chicken, provolone, bacon, avocado, tomatoes, cucumbers, greens, honey mustard, multi-grain) and more modern creations like the Banh Belly (pictured: soy-glazed pork belly, roasted jalapeños, pickled slaw, cucumbers, garlic aioli, cilantro). 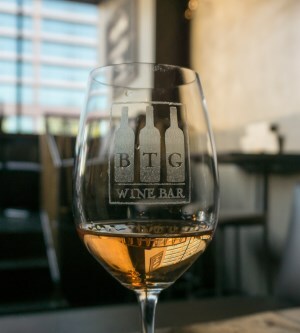 There’s local beer, later hours than you might expect for a sandwich shop, crazy affordable brunch and a chipper staff that make dining here a pleasure time and again.